How to Tie a Scarf: Everything You've Ever Wanted to Know! Inside: Everything you’ve ever wanted to know about how to tie a scarf. Those cold fall months are finally upon us, and even the southern states are getting some chill! Which means it’s time for pumpkin everything, candles, bonfires, and for those cute scarfs to come out of hibernation. Yes! 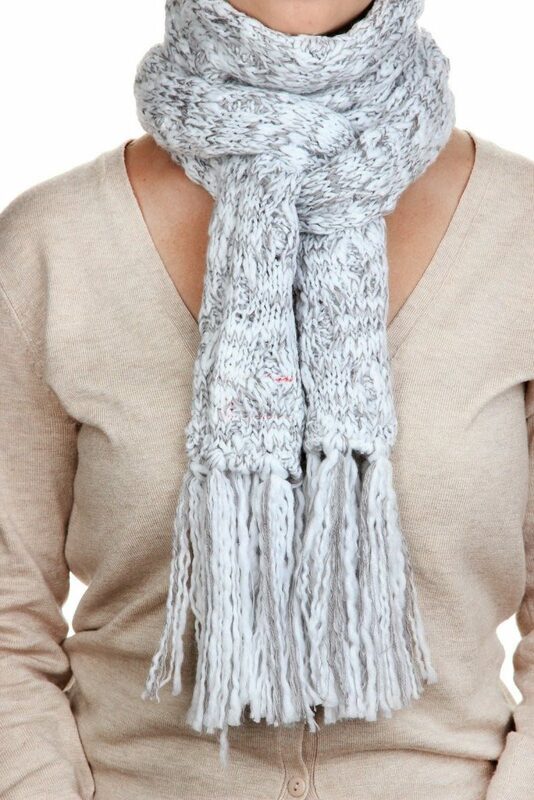 It’s easy to just throw on a scarf, but why messily wrap it around your neck when you could tie it all neat and cute? Here are some ways to tie different styles of scarves. Blanket scarves are exactly what the name implies: they are HUGE. They’re cozy, great for those insanely cold days and can even be used as a shawl in a pinch. Tying these babies can be a bit of a pain because of the size, but once you get the hang of it, you’ll be tying blanket scarves left and right. Here are a couple ways to wear a blanket scarf. Put the scarf on your neck and arrange so that the triangle is pointing towards your feet. Voila! A perfectly tied blanket scarf. No time for tying? Drape the blanket scarf over you like a shawl and belt it. This style is adorable, still shielding you from the cold, and now there’s no need to lug around a jacket. Long scarves are gorgeous and fun to wear, but they can be a little obnoxious if not tied properly. They can drag on the ground, be too tightly wrapped around your neck, or have extra fabric just hanging out. However, with a few twists and turns, a long scarf can create some adorable ties for fall. Here are a couple ways to tie a longer scarf. This tie is easy as pie and perfect for super cold weather in the fall and winter times. Grab a t-shirt, a cardigan, some jeans, some boots, and your favorite scarf to tie and you’re all set. Grab a long scarf and wrap it twice around your neck. Tie the ends of the scarf in a knot. Want a fancier tie? Try this slightly more complicated but super cute one. Put it on your neck. Twist the loop and pull the other end of the scarf through it. Need a visual? Here you go. 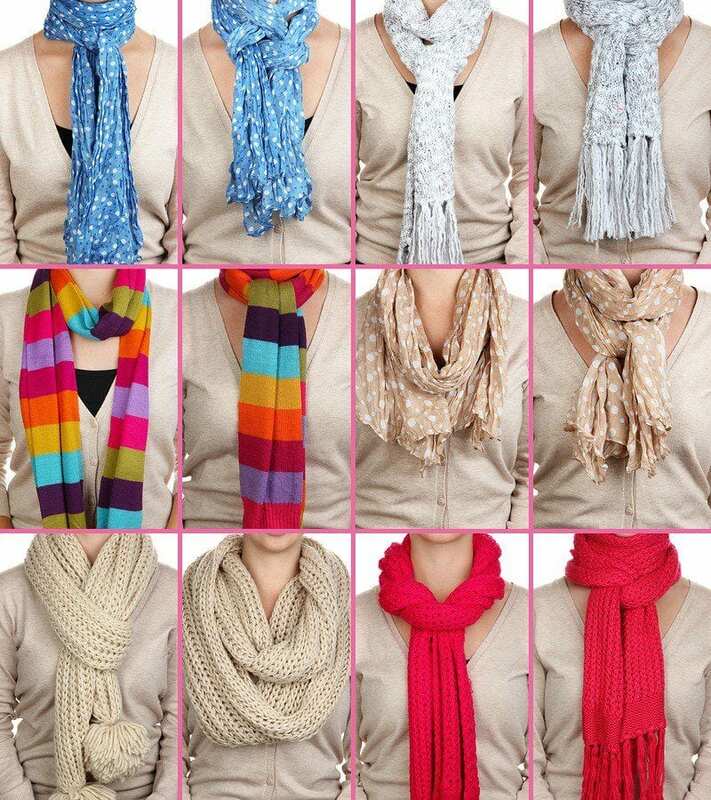 This style of scarf has recently gained popularity, and for good reason. It doesn’t require any tying, but can be looped in different ways. If you’re rushing out the door and all of a sudden remember it’s cold, throwing on an infinity scarf is your best bet. 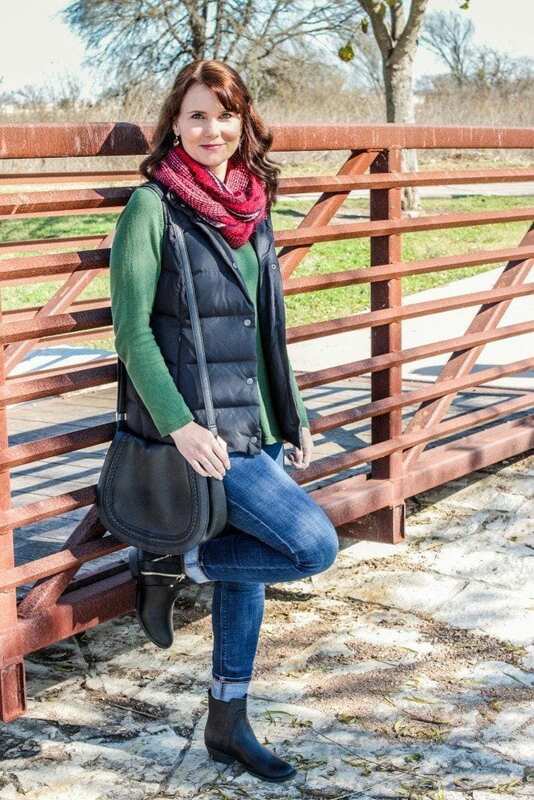 Here are a few ways to loop your infinity scarf. Here’s a visual if you need one. Drape the scarf around your neck. Pull one end of the scarf through the looped part on the other end of the scarf. Are you ready to break out those scarves now that you know all the ways to tie one? Have fun experimenting!